The first section of the book deals with the multiple repair operations on the "Penny Black" plates. The other two sections deal with the repair work on the Die 1 and Die 2 plates of the "One Penny Red". Large illustrations, sketches and detailed tables of the varieties. A detailed description of each one of all the 2880 stamps and the plates from which it was printed. You can also use this book to plate the early 1d reds, those that were printed from the 'black plates'. Very easy to plate penny blacks using this book - a must for any penny black collector. 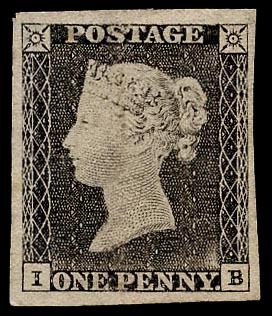 A Study of the Line-Engraved Twopence Postage Stamps of Great Britain. A book for collectors of varieties. This book gives clear pictures of what to look for. Most varieties are shown in large enlargements. Lists and illustrates all the notices that the author could find, a marvellous reference. Royal Household Mail from the Royal Residences, Households and Offices of Great Britain past, present and temporary. Starts with the reign of King John in 1199 to date. Covers the various postal markings of the residences and on trains, airplanes and yachts. A history commissioned by the British Post Office; their previous book was Howard Robinson's 1953 work. The work centres on the administration and personnel of the Post Office. A good book to read and useful. Illustrated and priced catalog of pre 1950 Commemorative Labels for GB, Northern Ireland and pre 1922 Southern Ireland. Covering motor shows, sports event, charity fund raisings, advertising, fairs, air shows, propaganda, souvenir, etc. by J H Daniels, 1898. This work covers all facets of the subject, 4,234 markings of which 2,921 are illustrated from 1705 to 1982. Includes maps, town plans and history. 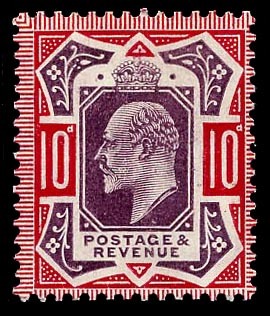 A simplified listing of British Postal Stationery with up to date prices. The book covers the folowing items of stationery: envelopes, letter sheets, postnotes, telegraph forms, postcards, newspaper wrappers, certificates of posting, registration envelopes, special delivery envelopes, letter cards, air mail letter sheets. Book contains 230 illustration and covers only the advertisements. An essential book for those specialising in this area. The standard work on FREE markings and their usages. An excellent expansion of the first edition published in 1975.
Letters from all over Europe, third find of the Corsini correspondence. The foundations of the post, Stages for the Standing Posts, Undertakers, Dockwra, Henry Bishop, 1660 Act, 1666-70 Roads, Branches and Mileages. An excellent reference book on the subject of Coffee Houses in the 17th, 18th and 19th centuries in London. Book about the London post service. The author describes the efforts of the many public spirited people who campaigned for postal reform so that everyone would benefit from cheap postage.